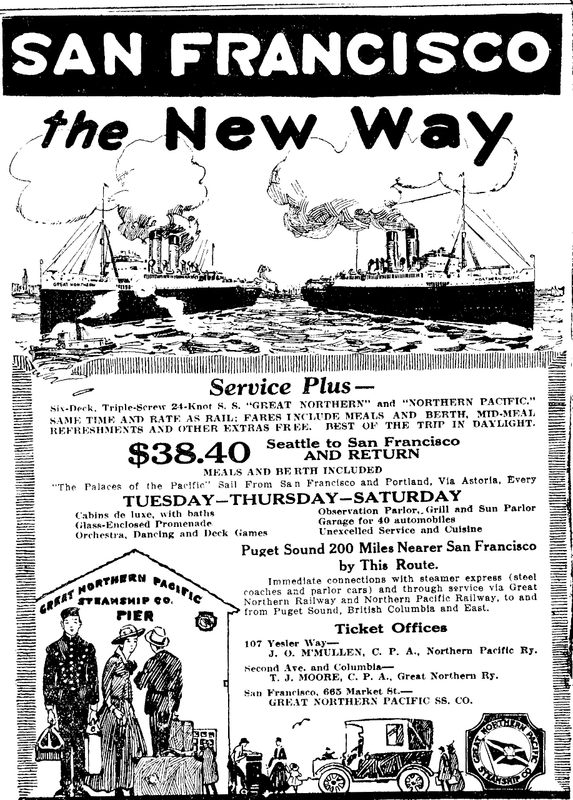 Home / CRUISING THE PAST / Cruise Ship History: When going by ship from San Francisco to Portland was faster than the train and cost $38.40 round-trip first class. 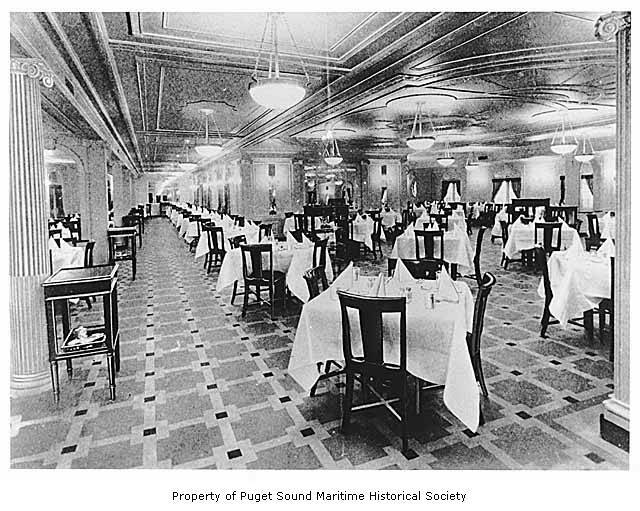 Cruise Ship History: When going by ship from San Francisco to Portland was faster than the train and cost $38.40 round-trip first class. 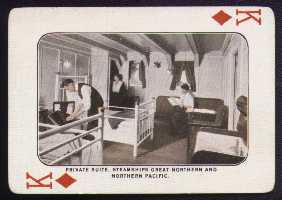 The Great Northern Pacific Steamship Company was formed by James Hill on September 30, 1914. The line was to compliment the passenger train service on the Astoria Line and compete with the Southern Pacific trains to San Francisco. 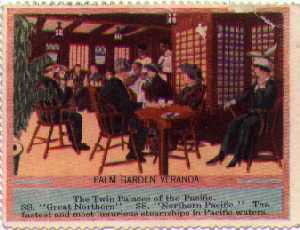 The company operated two ships, the S.S. Great Northern and S.S. Northern Pacific. The ships proved faster than the Southern Pacific’s express trains until bridges replaced much slower ferries in the northern area of San Francisco Bay. During the winter season of 1915-6, the ships also ran to Hawaii. 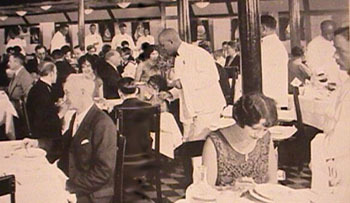 Eventually the service was not a success and the line was for sale when World War I intervened. The U.S. government commandeered the ships on September 17, 1917, ending the line. Both ships survived the war, but the Northern Pacific burned and sank on while being towed to be refit. 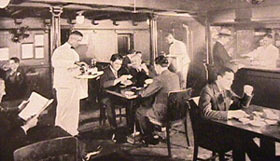 Dining Salon aboard the H. F. Alexander. 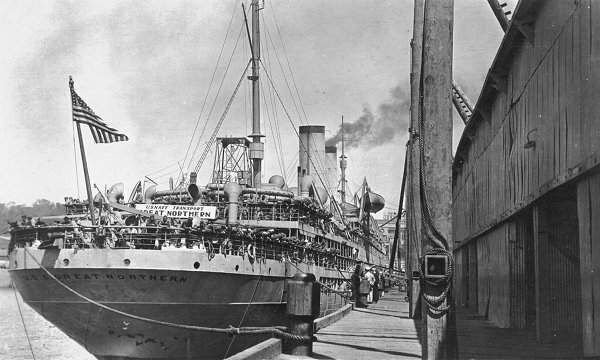 The Great Northern returned to coast wise liner service for many years with the (Admiral Line) Pacific Steamship Co. as their H.F. Alexander. 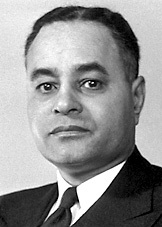 Noble Peace Price recipient — African-American Ralph Johnson Bunche, worked aboard the H. F. Alexander as a waiter. He did this during summers while studying at the University of California in the 1920s. 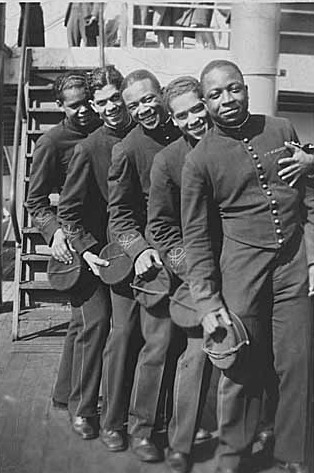 African-Americans were employed as bellman, waiters and stewards. This was similar work as the Pullman Porters. There were no unions at that time. Hours were long but pay, including tips, was good enough to put your way through school. From the photos, it is obvious America was very segregated – even on the West Coast of the USA. Scenes aboard the H. F. Alexander. 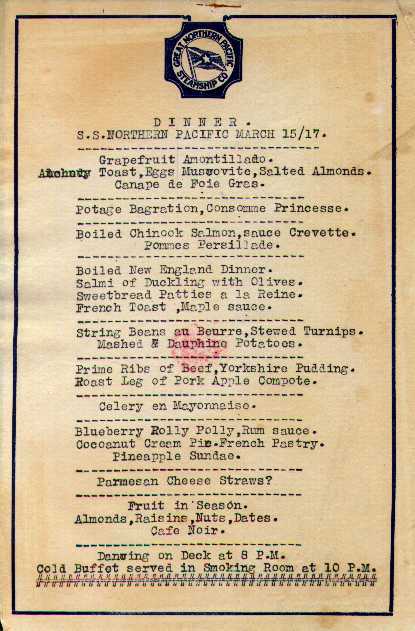 S.S. Great Northern (American Passenger Liner, 1915). Later renamed H.F. Alexander. 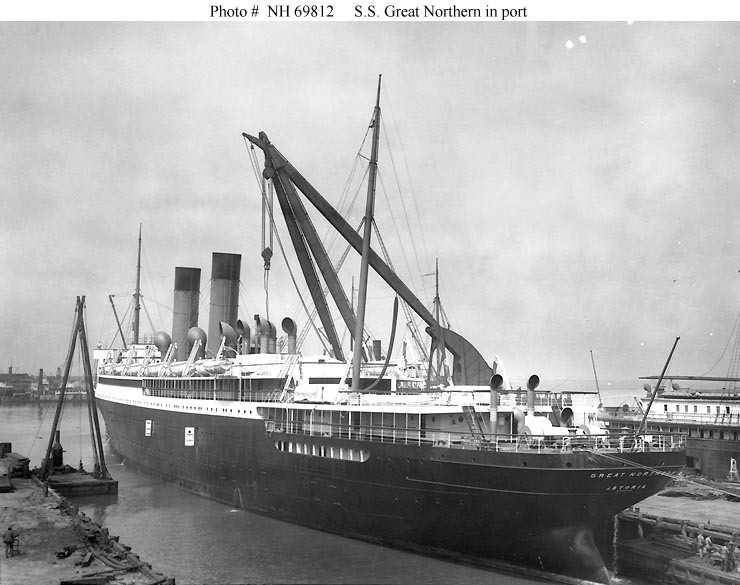 S.S. Great Northern, an 8255 gross ton passenger liner, was built in 1915 at Philadelphia, Pennsylvania. She maintained a fast (23 knot) passenger service along the Pacific Coast during the next two years and, in 1917-1922, was in U.S. Government service as the Navy transport Great Northern, Army transport Great Northern and Navy fleet flagship Columbia. Returned to merchant service following her March 1922 decommissioning, the ship was the Admiral Steamship Lines’ H.F. Alexander over the following two decades. 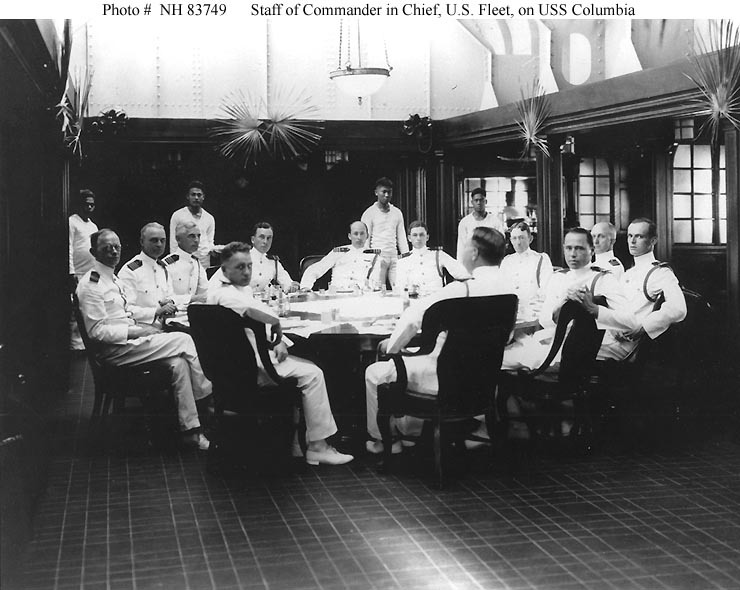 During World War I, as the USS Columbia officers are seen in the ward room. A former public room. During World War II she was briefly under British ownership before rejoining the U.S. Army in July 1942. Renamed George S. Simonds later in that year, she was in Army service until March 1946. Regaining the name H.F. Alexander, she was laid up in the Maritime Commission’s reserve fleet facility at Lee Hall, Virginia, from then until sold for scrapping in February 1948. Previous: Cruise Ship History: The French Line’s SS NORMANDIE. The greatest liner ever to sail “across the pond”! Will the SS United States and QE 2 face a similar demise? Next: Cruise History: Cunard Line’s RMS MAURETANIA – Blue Riband Holder – One of the most historic and remarkable Atlantic liners in history.